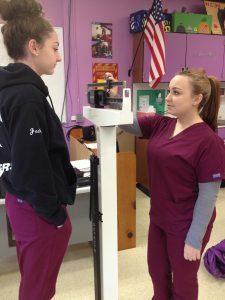 The Health Assisting course at Old Colony Regional Vocational Technical High School is a Chapter 74 state approved program. 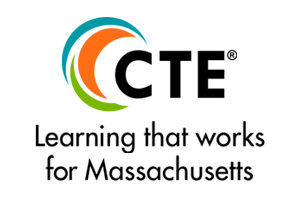 The program is a rigorous course that prepares the student for a position in the field of allied health care or further post graduate education in the field of health care. 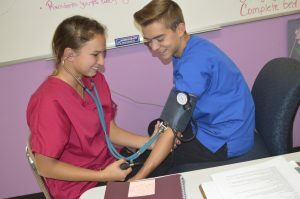 The program introduces the students to the many career opportunities in the field of allied health care as well as provides instruction in basic entry level nursing assistant skills. Students receive a strong academic foundation as well as experience externships where they can practice their skills in a real-world medical setting under the supervision of experienced medical professionals. 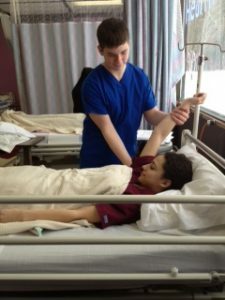 All students enrolled in Health Careers receive instruction in the program requirements for Certified Nursing Assistant. Clinical hours far exceed the minimum required by the state thus allowing the student to further develop their level of competency as well as their self-esteem. The students also receive instruction in other health related topics such as Growth and Development, Anatomy & Physiology, First Aid and Computer Technology. Students receive their Nursing Assistant Certification as well as the American Red Cross Babysitting Certification, OSHA certification, CPR and First Aid certification and Alzheimer’s Care Certification. An introductory course that begins in second trimester of freshman year. Students receive 5 hours/week of theory-based instruction which are embedded in the two week shop cycle. Students are instructed in basic nursing assistant competencies, provided opportunity for practice and evaluated on their proficiency. Students also receive their American Red Cross Babysitter Certification. Nursing Assistant 2 is completed at the end of sophomore year with a year long focus on intermediate nursing assistant skills in preparation for their clinical affiliation. Students receive 5 hours/week of theory-based instruction which are embedded in the two week shop cycle. Students are instructed in i ntermediate nursing assistant competencies, provided opportunity for practice and evaluated on their proficiency. Students participate in a growth and development externship at PACE HeadStart and develop and implement their own health related lesson for preschoolers. 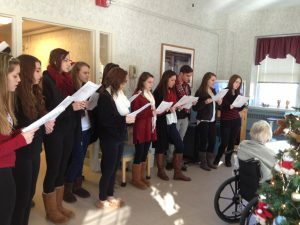 Students also participate in the RAPPP program (Responsible Attitudes toward Pregnancy, Parenting & Prevention), an adolescent pregnancy prevention program taught by members of Southcoast Hospitals Group. OSHA Certification is obtained at the end of sophomore year. Nursing Assistant 3 is completed in junior year with a focus on Anatomy & Physiology, understanding the disease process, medical terminology, Alzheimer’s Care Certification and Nursing Assistant Certification. Application of knowledge and skills is applied at a long-term care facility. Students earn approximately 160 hours of clinical training. 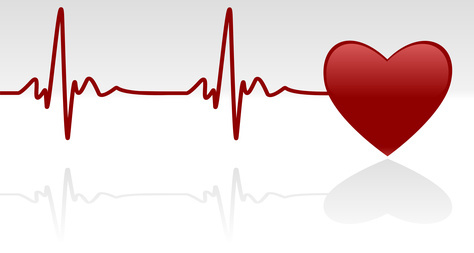 Nursing Assistant 4 is completed in senior year with a focus on Anatomy & Physiology, understanding the disease process, medical terminology, and certifications in CPR, AED and First Aid. Students participate in co-operative education, placement externships or further advance their nursing assistant skills in clinical placement. Instruction in pediatric health, acute care and community health topics is incorporated into the shop curriculum. An ongoing process throughout the four years is the evaluation of student behavior, attitude and attendance as it relates to college and career readiness.